The Rainbow Bridge Memorial Cemetery and Garden is a special place to honor all the pets that have touched our human souls. 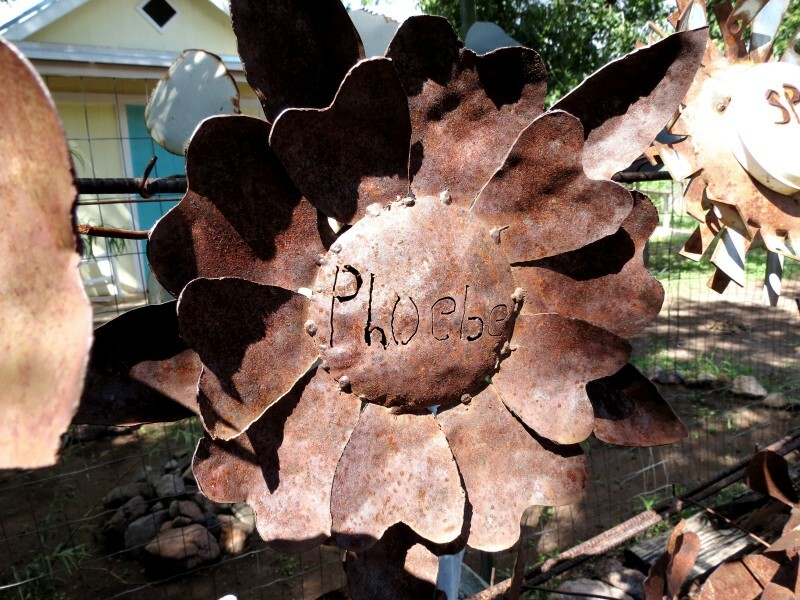 For a minimum $150 memorial donation to The Oasis, metal artist Mark Lee of Benson, Arizona will create a beautifully designed simple metal flower to be placed on the garden’s Memorial Wall or sent to your home, or the home of a loved one. More elaborate designs can be created with a minimum $200 memorial donation. Your meaningful gift can be in memory of an Oasis bird who touched your heart, or a departed companion who is waiting at the Rainbow Bridge – a beautiful, lasting tribute to the memory of one no longer here. Over the Rainbow Bridge may they forever fly free and may you be comforted knowing that you made a difference in their lives. Please note that each flower is individually created and no two are the same.